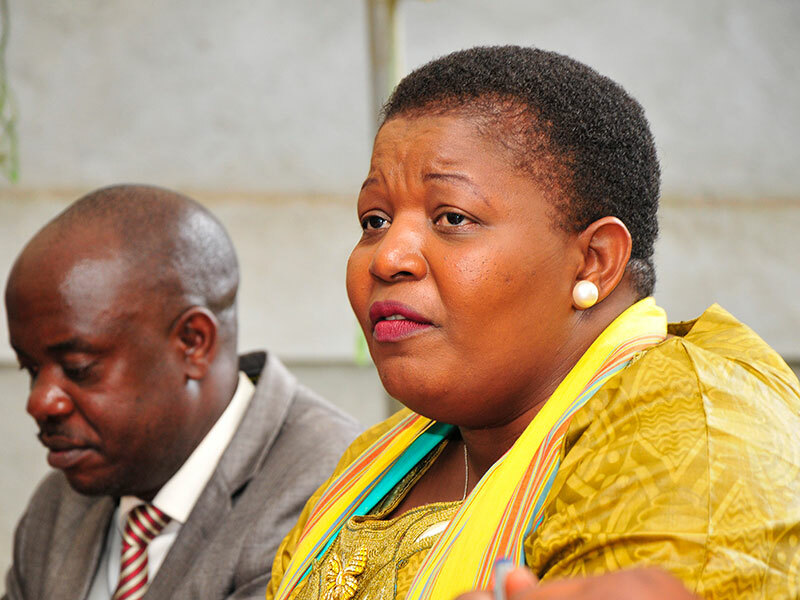 ENTEBBE–A woman has died on Entebbe Road after she was hit by NRM Secretary General Justine Kasule Lumumba’s car. The Monday afternoon incident occurred around Kajjansi when the unidentified woman was allegedly crossing the road. According to NRM publicist Rogers Mulindwa witness claims show that the deceased was talking on phone as she crossed the road and died on the spot in the incident. Mulindwa said Lumumba was in her official vehicle during the incident but that she was not injured, adding that Police would release the detail later. He also sent the party’s condolence to the family and promised that NRM will stand with them in this trying moment.